There are a lot of things that my girls enjoy - everything from dress up to board games to sports to nearly everything in between (with a special nod to anything that might include food). But if I were to name the top few very special, never-get-tired-of-this activities, reading books would always be a member of that select group. I can't think of a day that has gone by when books haven't been read, whether before nap time, at bedtime or just pulled off the shelf for a quick read on the couch. There's no doubt about it, we love books. The story, the imagination, the adventure, it's just all there. So, really, how can they be made any better? Thanks to Hallmark, that has now happened. Because a book is just a book until it becomes an experience with the Hallmark Interactive Storybook & Story Buddy. Although they are best known for greeting cards, ornaments and television programming, at the heart of Hallmark is what they're really about: relationships and the emotional connections their products and experiences represent. More than just being there to celebrate the happy moments and provide sympathy through the difficult ones, Hallmark wants us to focus on the simplicity of what their motto so clearly points out: Life is a Special Occasion. To see the effect of a huge number of moments put together into this cool mosaic, simply visit Hallmark's VisibleMash... even better, if you would like to add something new, just go to the "Add Yourself" button and join in! Let them hold onto your words. Kids often get embarrassed when parents say "I love you" in front of their friends. Think about sticking a card in their backpack or inside a textbook, so they can find it later and hold onto it all day. Hallmark's Kids Collection features cards addressing topics for young kids, including nerves about school and positive reinforcement for hard work, as well as topics for tweens/teens, such as peer pressure and choosing friends wisely. 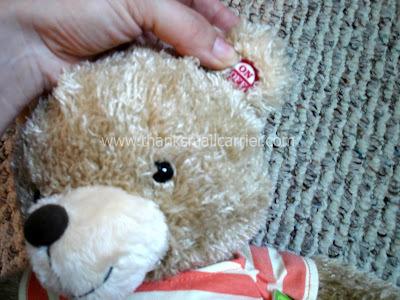 I love this idea, because it allows you to communicate a sweet message to your child but in a personal, private manner. 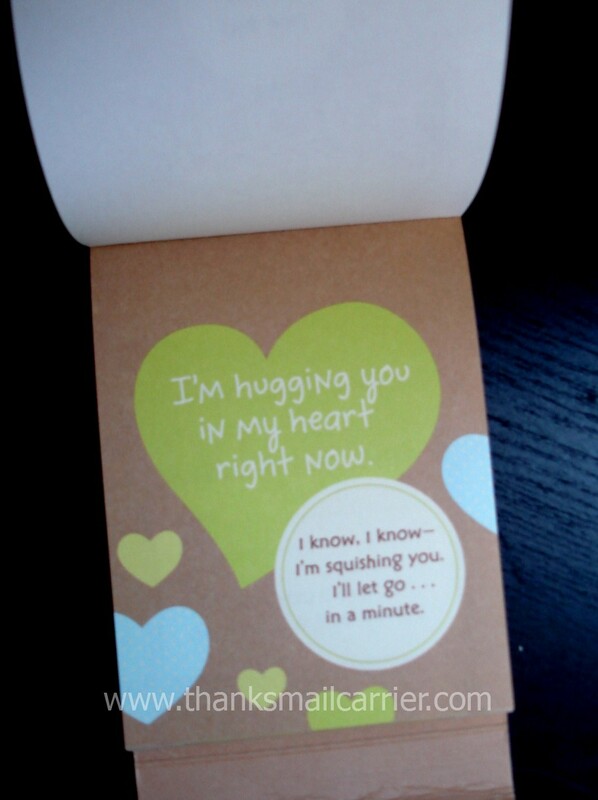 That way, if you happen to have an older child who is in the stage where they are embarrassed to give Mom a hug, they can still enjoy these sweet cards! Surprise your child with a lunchtime delight. Fruits and veggies will help a kid be physically fit, but don’t forget about a child’s emotional wellness. Surprise your child with a serving of love and pride with Hallmark’s new bite-sized Lunchbox Notes. The unexpected "I love you" or "good luck" will let your child know you’re by their side, even after they get on the school bus. What a fun way to brighten their day with something small enough that they can then carry around in their pocket to extend the feeling of love! Story time is an opportunity to develop reading skills, but it’s also a time for parents and kids to bond. For young readers, use a Hallmark Interactive Story Buddy and Storybook to encourage clear pronunciation. When a child clearly reads key phrases from the book, the Story Buddy responds! Truly innovative and unique, I knew that Big Sister E and Little Sister B would be thrilled with an Interactive Story Buddy and the entertainment that it could provide. After all, cuddling up to read a book with a stuffed animal is pretty great on its own... but having the animal join in? Well, that's just magic! I immediately appreciated that Cooper the Bear came fully prepared and ready to go right out of the box. There was no setup or installation required, simply remove the packaging tags and press the power button on his ear and he lets you know that he is ready to hear a story. 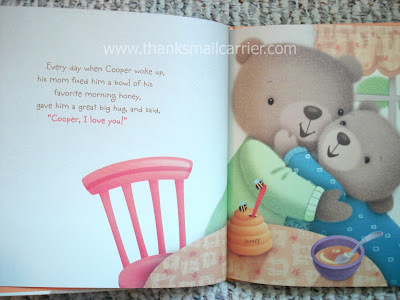 As we opened Cooper's Big Bear Hug, the bright colors and cute illustrations had already caught our attention and we marveled for a minute on just how sweet Cooper looked and how fun it was that he was in the book while also being here with us. Having not told the girls that Cooper would interact during the story, I began to read normally... and when I came to the first specially-marked sentence ("Cooper, I love you! "), he chimed right in ("I love you, too)! Adorable! Both girls (as well as all adults that have since met Cooper) agree that the concept of the Interactive Story Buddy is such a great one. These soft, high quality pals have a way of turning a regular book into something so much more... and everything is better with a plush pal to cuddle with, right? 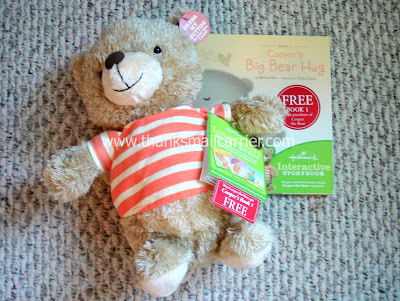 Interactive Story Buddies retail for $29.95 and come with one free storybook (more can be purchased for $9.95). Look for them in your local Hallmark store for a unique gift idea that is sure to be treasured for quite some time to come! 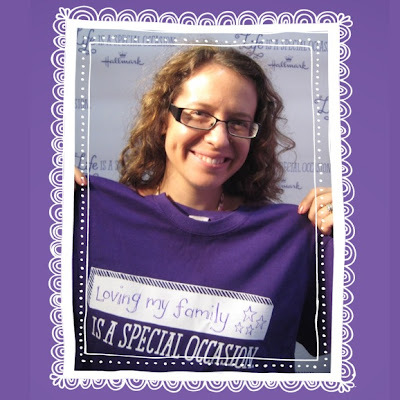 Through moments big and small, Hallmark is there to help you share your feelings. I've always been impressed with the quality and innovation of their products in the past and their collection for back-to-school is no exception. 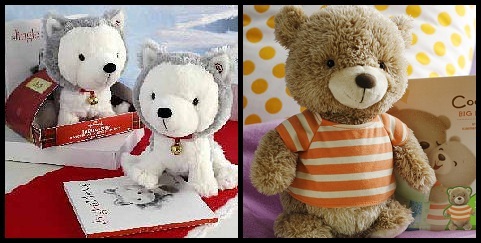 Now is the time to show your child that you love them and are thinking of them with a note, a card or a cuddly friend! Hallmark Interactive Story Buddy and Storybook! To enter to win: Visit the Hallmark and tell me which of their Interactive Story Buddies you think the child in your life would love the most. 1 Extra Entry if you follow Hallmark on Twitter and/or Like them on Facebook. Giveaway will end on October 4th at 11:59pm CST. Do me the favor of leaving an email address or making absolutely sure it is visible in your profile, I have to have a way to contact the winner. The winner will be chosen by random.org and announced here as well as emailed and will have 48 hours to contact me or respond to notification or a new winner will be chosen. This giveaway is open to U.S. residents only. 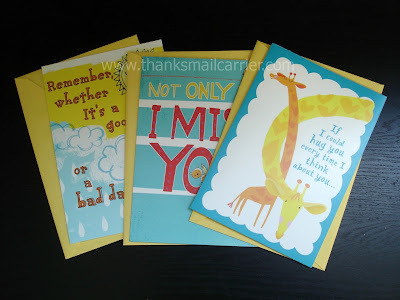 A big thank you to Hallmark for providing Kids Collection cards, Lunchbox Notes and an Interactive Story Buddy and Storybook for me to review as well as a Story Buddy and Storybook for one lucky giveaway winner. The opinions shared are my own and honest and if you really need to see more, click here to see how I roll. I entered the Karen Kane giveaway. Hallmark on Twitter - DONE! subscribe to Thanks, Mail Carrier by email - DONE! 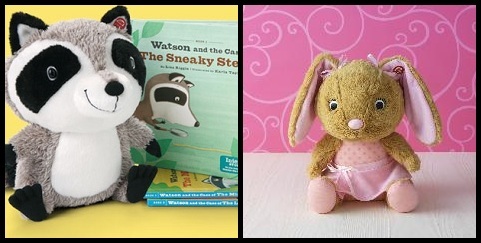 I know the kids would love Hallmark's Interactive Story Buddy, Watson the Raccoon. I am following Hallmark on Twitter. My little girl would just love Abigail the bunny. my son would love the Bigsby one that is coming soon soo cute! I entered the Lite Sprites Giveaway. I entered the Daisy flats giveaway. I entered the Lalaloopsy Doll giveaway. Entered Pure Pearls Freshwater Pearl Bracelet! 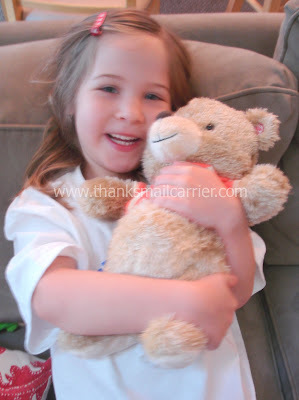 added Thanks, Mail Carrier to my blogroll. My daughter would LOVE the little husky puppy! I like Watson and the Case of the Missing Acorn book. I think he would enjoy Cooper the Bear. I am following Hallmark via twitter (andreacouponz). Love to win thanks for a chance. I think my little stinker would like Watson the Raccoon. We'd like Abigail the Bunny. Thanks. I love the upcoming Bigsby character!